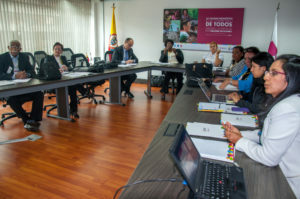 DevStat has organized a study visit to Colombian National Statistical Department (DANE) for delegates of the National Statistical office of Cuba (ONEI). 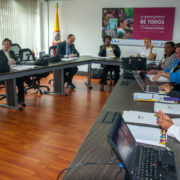 The visit took place between the 3-5 May, in the frame of a cooperation project signed between the EC and the FIIAPP (International and Ibero-American Foundation for Administration and Public Policies). Mr. Ricardo Vila, scientific advisor of Devstat, accompanied the 6 representatives from the ONEI during the whole visit. During the three days, the ONEI delegates could see from a practical point of view, how the DANE addresses the issue of statistics of self-employed and micro-enterprises and what solutions have been created to address the challenges that come from the emergence of new economic structures. The visit covered issues such as: micro-enterprises surveys, the Integrated households survey but also field visits to see first-hand how interviews are carried out and data are gathered.